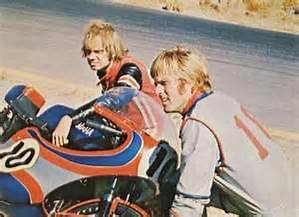 I dig Biker Film, they were a nice piece of the exploitation genre that sadly went away too soon. They were usually the variation of two types of plot. Bikers must fight someone, or rival bikers fight each other. Sometimes you got a cool twist where the bikers were monsters. Its the story of the hard drinking womanizing Big Halsy, played to perfection by Robert Redford. See Halsy has been banned from the pro racing circuit for his drunken antics and hot temper. Its at a small amateur race he meets Little Fauss. A young naive rider who starts to idolize the way Halsy lives his life. His parents hate Halsy and think he's a bad influence, what with him being a drunk jerk. But they strike up a friendship non the less. I'm not a huge Redford fan but man doe he scream James Dean cool in this film. He plays the troubled care free smooth talking Halsy to perfection. The whole cast is good but its all Redford's film. He chews every scene to perfection, and shows why he has been an active player in Hollywood all these years. I really have to put Olive Films over again for this fantastic transfer. The outside scenes all pop with little to no grain visible. Sound quality is outstanding as the race scenes scream through your speakers. 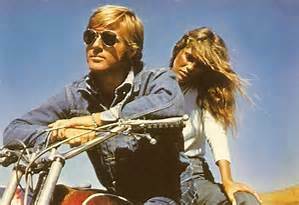 If you a fan of biker films, drama, 70s films, or Robert Redford this is a must watch film that I highly recommend.